Adam and I had a lovely Christmas yesterday. We certainly got some great gifts and enjoyed a trip to see Sherlock Holmes and a Packers win. This is our first real Christmas together in the US – complete with cookies, lights, and church on Christmas eve. Despite one or both of us being abroad the last three Christmases, we certainly know just how to make it a great day. 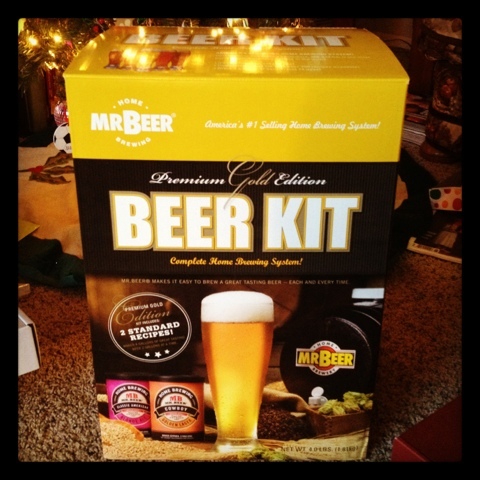 Brewing your own beer is a gift that’ll keep you warm all winter. He sensibly gave me a new hat and adorable matching white gloves with tortoise shell buttons. At least we’ll both be comfortable until May when winter might decide to end. 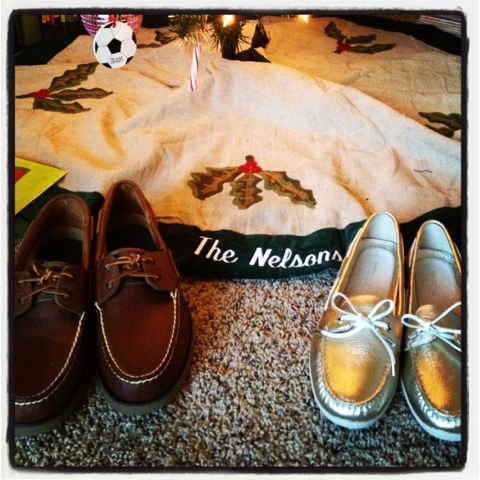 And when we bought each other His and Hers Sperrys, it seemed like a good sign for our new married life together.